More Muslims have come to faith in Christ in this generation than in the last 14 centuries of Islam combined. The Church in Iran is now estimated to be between 1 million and 3 million strong. That's the analysis of Shadi Fatehi from the PARS Theological Center in London, England, speaking at a suburban church in Minneapolis earlier this month. It was the year that Presbyterian missionaries were kicked out of the country after serving faithfully for about 150 years since the 1830s—accused of being CIA agents—and the church was concerned about what was going to happen in that country. "Everyone thought that the church would be entirely closed down, and that Christianity—the little remnants that still existed—would die down," said Fatehi. "At the time there were only 350 Christians living in Iran from a Muslim background. Today, 40 years later, the statistics are about 1,000,000 to 3,000,000 Christians from a Muslim background living in Iran today. "So something very special and historic is happening. Something special is happening, and many people ask me why are so many people coming to faith and how are people coming to know the Good News? And there are many ways that people are coming to know the Lord—through technology [which] is a great tool in taking the gospel to places where it couldn't go before. But something that is happening so often among Muslims is that people are coming to know Jesus through dreams and visions," Fatehi said. "The man responds by saying 'You called my name—I am here because you cried out to Me in the kitchen.' He tells her that He is Christ revealing Himself to her, and that He will be with the child and with the mother in this difficult time. When the mother wakes up, she is enamored with Christ and decides to learn more about him, eventually giving her life to Christ, becoming a Christian and later becomes part of a house church. "That is one of many stories, many, many, many stories of people seeing Christ in visions and dreams. This seems to be a way that God is choosing to reveal Himself with people in that part of the world. And Iranians, when they come to faith, they are very eager to share the Good News with others around them." Fatehi told another of her favorite stories about the mother of a student at PARS who became a Christian a few years ago, and his family was distraught and upset that their eldest son had become a Christian. "They considered him an apostate, an infidel, and they didn't know what to do with him. He was keen to bring his parents to Christ—especially his mother, who was particularly upset with her son's conversion. His mother was illiterate; she couldn't read, she couldn't write, and she's quite elderly, so he decided to share the gospel with her by giving her tapes and CDs of the Bible being read out loud. "Over the course of a few months, the mother listened to these tapes and decided to give her life to Christ. She was so passionate for Christ that she wanted to do something for God—she wanted to see what she could do to be part of God's mission. How can an illiterate elderly lady do something of significance, what could she do? She decided to ask a friend to write out for her The Beatitudes from Matthew 5 on a piece of paper and on her regular bus ride looked for a young girl or young boy to sit next to, asking them to read it for her. "Feigning deafness, the mother asked them to read a bit louder, because she couldn't hear very well. The mother's tactic is to get the people—not only the people beside her, but the people behind her and in front of her—to hear these words. This, of course this became her ministry! Many times people turned to her asking, 'Where did you get this from? We've never heard such a beautiful message before. Who said this; we don't have this in our books? Where can we find out more information? Whose words are they, we want to know more about this?' 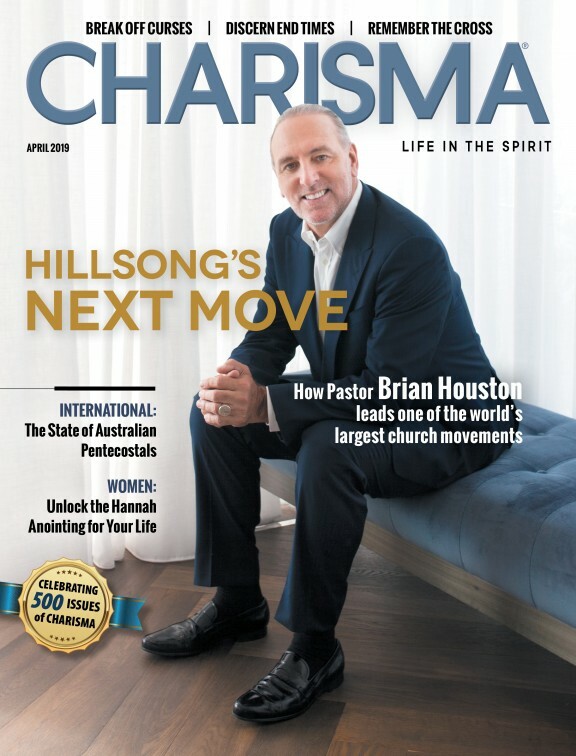 Of course, the conversation begins and develops—and she has brought many people to Christ, and many people into the house church movement that she belongs to." Fatehi explained that once the church begins growing, it is also persecuted. "Being in Iran and a Christian is not an easy thing," she said. "Many are thrown out of universities, thrown out of jobs are threatened. They have their children kidnapped; they are forced to leave their home country and be in exile in a foreign country. Many leaders are arrested, taken into interrogation, tortured, thrown into prison maybe for a few weeks, maybe for a few years. And in these last two years, the sentences have been up to 15 years in prison, with the accusation that they're acting against national security or that they're cooperating with Zionist spies. "So it's not easy. The church is suffering. The church is going through a tremendous amount of trauma. And so while it continues to grow, while we see Christ continually building His church, we also see suffering being reflected in the movement. And so we see Christ at the center taking care of His church but also the church being persecuted." Fatehi said one of the biggest needs of this new and thriving movement is the need for leaders, "Leaders who can shepherd the church and can grow the church in discipleship and make sure that the church really grows in depth as well as breadth. "As I mentioned earlier, many Muslims are coming to faith in Christ, but a big concern of the missional world, especially in the Global South at the moment, is that many Muslims are also coming away from the faith. As quickly as they're coming to know Christ, there is a leaving the faith quite quickly. And that's a big concern for everyone including myself who are involved in the persecuted church. So the need for training leaders and for theological resources and for laying suitable foundations for the church is key." Fatehi quoted Patrick Johnstone in his book Operation World, who has noted that Iran is hosting the fastest evangelical church growth in the world right now. "That's how significant the movement is." "We can't have any residential training programs in Iran right now. The church has gone completely underground. So the church is now built up of house churches and house church networks. There are no official Farsi-speaking, Farsi- led churches allowed to operate in Iran. There's a big need for training in other ways. Now, PARS Theological Center was born in response to this huge and urgent need for leaders and theological education for this young and thriving church movement in Iran." Fatehi explained that PARS is an interdenominational team of 30 pastors, counselors and mentors. "A lot of us are volunteers from an evangelical background. We were established in the spring of 2010 with the mission to train a new generation of leaders that are biblically rooted, theologically informed and spiritually mature so that they can be transform the Persian speaking world for the glory of God." PARS combines online classes with formational conferences and week-long intensives where the group brings out students in groups of 15 to 25 to other countries. "We combine that with a mentor and growth and development program, which is where we match our students with a mentor who meets with them once every two weeks. And then we place our student in a field of ministry placement so that they're actively involved in ministry. This combination allows us to train leaders in a secure and safe way." Fatehi said the church is being persecuted, "and the reality is that many people in Iran and elsewhere are in prison cells right now." "They're refugees who have had to leave their country with no choice. Families are broken and traumatized. I want to invite you to pray with and for the persecuted church. Pray for those individuals, those families, those communities that are suffering. But they continue walking in faith no matter what the risk. So please pray for them—I think partnership should include at least prayer. And it means so much to brothers and sisters in the Middle East when they hear that their brothers and sisters in the church here in America are praying for them; they're on their knees for them. "The second invitation is we need to encourage you with your interaction with Muslims coming here into the U.S. So many Muslims have come over to this country and to the U.K. where I live. This is something that has been unprecedented. For centuries, Muslims stayed in their own homes, but now they're learning our languages; they're learning about our cultures, and they're choosing to uproot and come to the West. And of course, while that presents to us so many real social and political challenges, it is not often the challenges that concern me but the remarkable opportunity that's before us. God is doing something amazing among Muslims—how God is really showing His love for them by revealing Himself to them and opening His arms to them." Fatehi concluded: "How can we do the same here, and how can we be more intentional about loving our Muslim neighbors and the Muslims that we find surrounding us? What does that look like? Second Chronicles talks about 'the Men of Issachar who understood the times,' and I think these days, you know God is doing something amazing among Muslims. And I think we as a church need to be switched on to that, and really tap into that, and see what our role is. I want to encourage you with that."